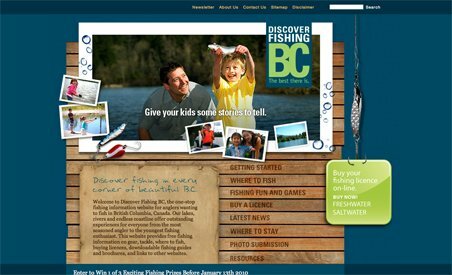 Discover Fishing BC is a complete resource for anglers in British Columbia, Canada. Their website provides free fishing information for anglers of all ages and experience levels, including information on tackle, gear, fishing locations, licenses, downloadable fishing guides and brochures, and links to other websites. Discover Fishing BC is part of a 10 year angling marketing plan designed by the Sport Fishing Steer Committee, whose goal is to increase participation in British Columbia freshwater and saltwater fishing.